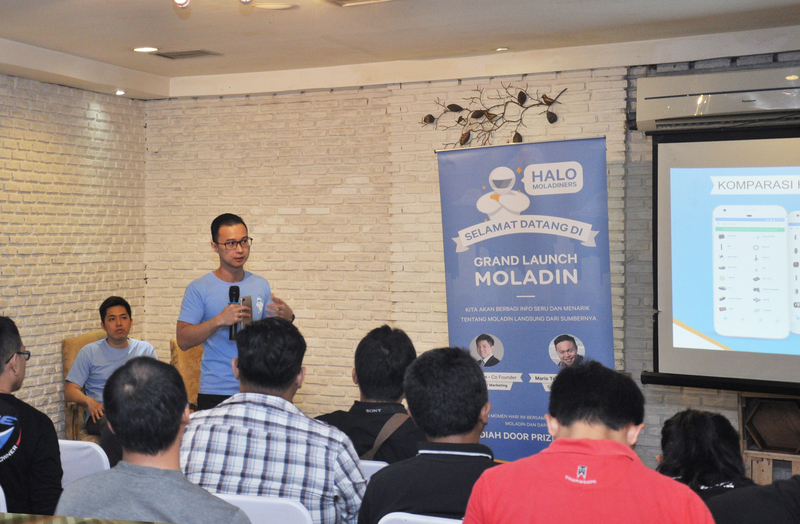 Jakarta, July 12, 2018 - Moladin, a leading online motorcycle platform in Indonesia focusing on motorcycle e-commerce, announced earlier today that it has secured US$1.2 million funding from East Ventures, Berjaya Group and Ethos Partners. The fresh fund will be used to help Moladin’s team expansion and growth across other regions in Indonesia. Since it’s official launch in November 2017, Moladin has partnered with over 40 dealers and some of the biggest financing companies. Moladin also experienced phenomenal growth, having completed over US$ 1 million in transactions and growing 20-30% every month. “Our rapid growth shows strong validation to what we are building. We are extremely excited about our journey ahead,” he adds. Moladin originates from 2 words, “Motor” and “Aladdin”, which encompasses the founders’ vision to answer the needs of every biker in Indonesia. With this vision, Moladin sets its sights on transforming the whole motorcycle industry, one step at a time. They also have other features on the platform, which includes an online workshop directory for bikers to find servicing workshop nearby, a forum for bikers to ask and answer any questions about motorcycles and a place for bikers to leave reviews on spare parts and apparels. With tagline “Ingat Motor, IngatMoladin”, Moladin wants to make their product come to their mind whenever people think about the motorcycle. With a genie looking logo, Moladin wants to portray the “Magical” experience where bikers can purchase a motorcycle without having to leave their house and facing the complicated buying process with the dealers. The whole transaction can be completed simply by just using a phone. Moladin is an online platform built as a solution to solve bikers problem in finding information about the motorcycle in one place and purchase motorcycles without hassle via online. Moladin shortens the motor purchasing process from the offline/conventional way to online. With Moladin, consumers who want to buy a new motorcycle can feel the ease and simple process without having to go step out from their home. Moladin has partnered with several motor dealers and brands, as well as leasing companies to give consumers various options and discounts. Moladin also offers various payment method to fit consumers' needs.